Amy Hennig has a very realistic outlook on the current state of AAA single-player games. 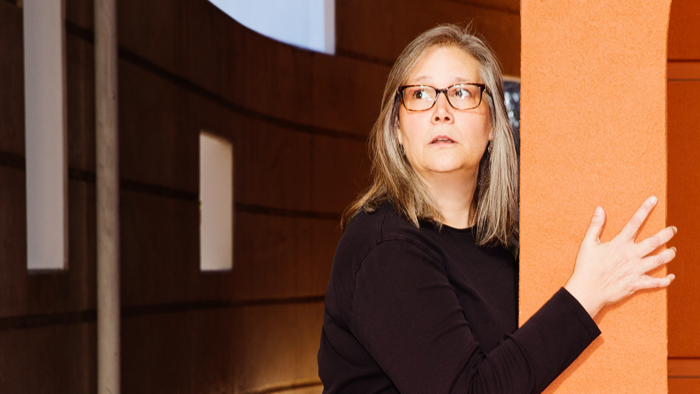 At the Gamelab developer event in Barcelona, Spain last week, veteran designers Amy Hennig and Mark Cerny hosted a panel following Hennig’s acceptance of the Honor Award at the event. As you’d expect, the audience wanted to hear Hennig’s take on the so called death of single-player games, a topic revived recently mostly thanks to the cancellation of Hennig’s Star Wars project (known as Ragtag), Visceral Games’ shuttering, and EA’s statement at the time. For one, Hennig understands why EA ultimately made the decision to reboot the project as a live service game at Motive, even if the decision was hard on the designer. “We have to come at this in different ways. I think it’s about portfolios of games at different price points that allow us to do more than just PUBGs and Fortnites and Destiny clones,” she added. The veteran designer is keenly aware of how more expensive, and riskier, making the sort of AAA, story-driven single-player games she’s most known for has become. Because of that, Hennig praised Sony’s commitment to this seemingly dying breed of games. “God bless Sony for supporting these kinds of games, because they’re terrifying to make. They’re very expensive, and it doesn’t suit the model of having a massive open world or hours and hours of gameplay or running a live service, which is what everybody is shooting for these days,” she said. Hennig reiterated that despite her love for that style of games, they’re not sustainable in today’s market. The solution, according to Hennig, is to create shorter experiences intended to be finished, and price them appropriately. “We have digital distribution. That should be possible. We shouldn’t be stuck at this brick and mortar price point and trying to make more and more content, breaking the spirit of these games,” she explained, adding that subscription-based models could also play a part in this shakeup. The rest of the talk is well worth reading at the link above, where Hennig also touches on some of her history making games, her various roles, and what got her to join the industry in the first place. Hennig recently revealed that she left EA in January to start her own studio, which will be working on experimental and VR games.